As you can see in the photo above, Danganronpa contains quite the colorful cast of characters. To me, that’s the best part about this game! 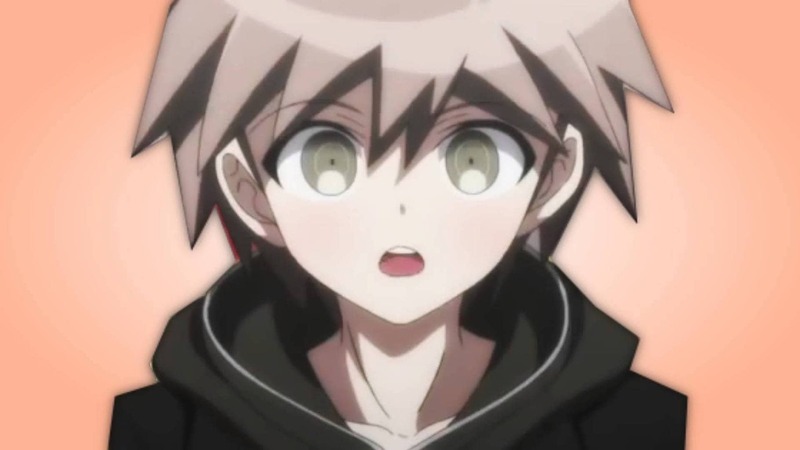 We start off playing as Matoko Naegi, who has just been accepted into Hope’s Peak Academy. While he thinks he’s just accepted the opportunity of a lifetime, what he’s really walked into is a game of murder and mystery as the headmaster of the school pushes the students to kill one another, only to have them later put on trial to figure out who committed the dastardly deed. 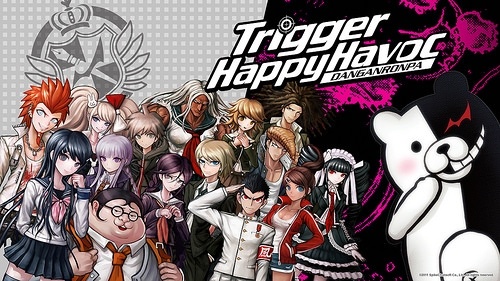 Danganronpa is a very intense yet incredibly fun game for anyone who is a fan of Phoenix Wright, or any other kinds of whodunit murder mysteries. So, let’s get this week’s Video Game Fashion started with three looks inspired by the Japanese visual novel mystery, Danganronpa. Naegi is our main protagonist in the game. 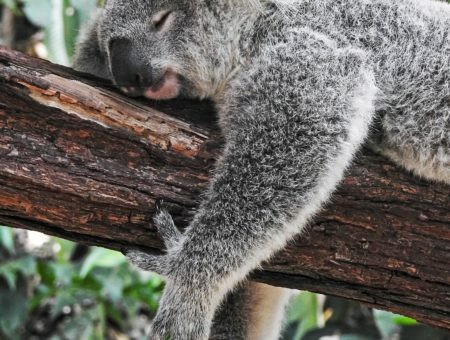 Upon entering Hope’s Peak Academy for the first time, he passes out. It is not until he awakens that he meets the rest of the students and the school’s dysfunctional and psychotic headmaster, Monobear. Naegi’s outfit is simple and sporty: He typically wears dark jeans and a hoodie/jacket combo with red sneakers. 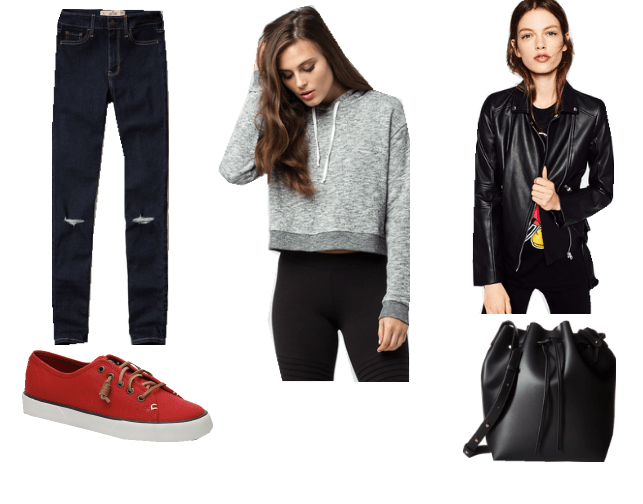 I did the same by layering a soft grey hoodie under a sleek leather jacket with some jeans and bright red sneakers. I added a simple black bag to this outfit because Naegi is a student, after all. How could I mention Danganronpa on College Fashion without mentioning the Ultimate Fashionista of Hope’s Peak Academy? 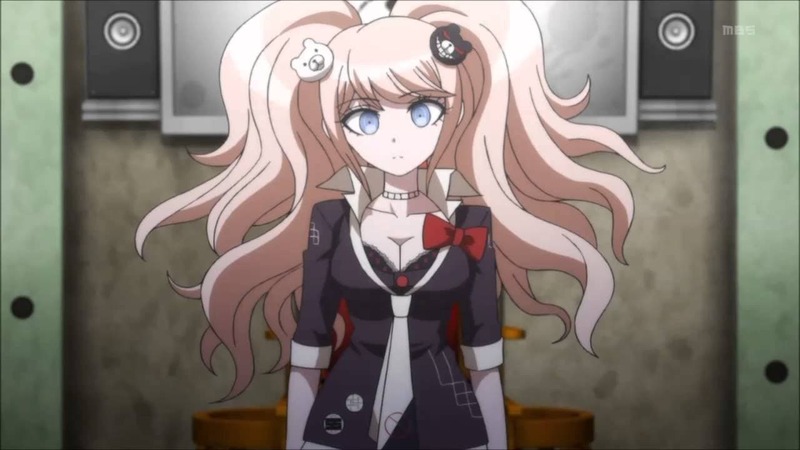 Junko Enoshima is a girl with a style all her own. Due to her overly talkative and hotheaded nature, she doesn’t always get along with the other students. 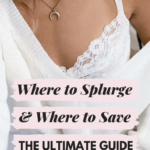 Regardless of her personality quirks, she’s still the best dressed gal in the game, and thus a great source of style inspo. Junko’s outfit is a twist on the classic school uniform, so I decided to add a little twist of my own, starting with the skirt. While Junko’s skirt is cute, it’s not practical for any of us in the real world (it’s about an inch long), so I opted for a plaid pencil skirt and matching bag instead. Lastly, I added a black shirt with a bow tie, a classic tattoo choker, and thigh-high boots to complete the “schoolgirl gone bad” style that Junko is going for. Kirigiri is our resident detective who just happens to be full of mystery herself. While she’s the one who leads the students during several murder investigations, she tends to keep her distance the rest of the time. Kirigiri’s outfit is simple and sweet. 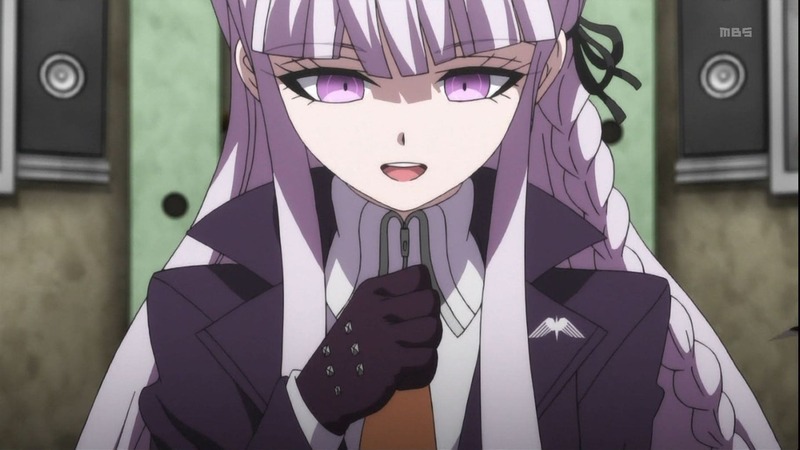 Even though most people tend to only go to Kirigiri for her brains, she’s got some serious style. Her outfit is another take on the traditional school uniform with a plaid skirt and button-up. I opted for a plaid circle skirt and a blazer on top of a white button-up. 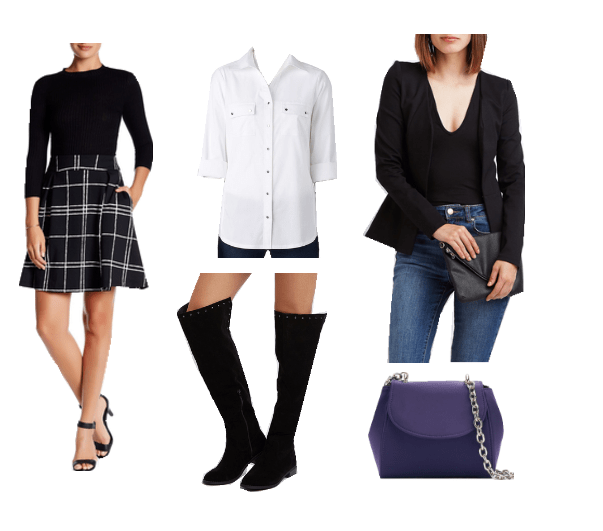 Knee-high boots and a purple crossbody channel even more of Kirigiri’s simplified schoolgirl style. How did you like Danganronpa the game? Did you like the anime, manga, or video game better? Who’s your favorite character? And most importantly, let me what you’d like to see next on Video Game Fashion in the comments below?